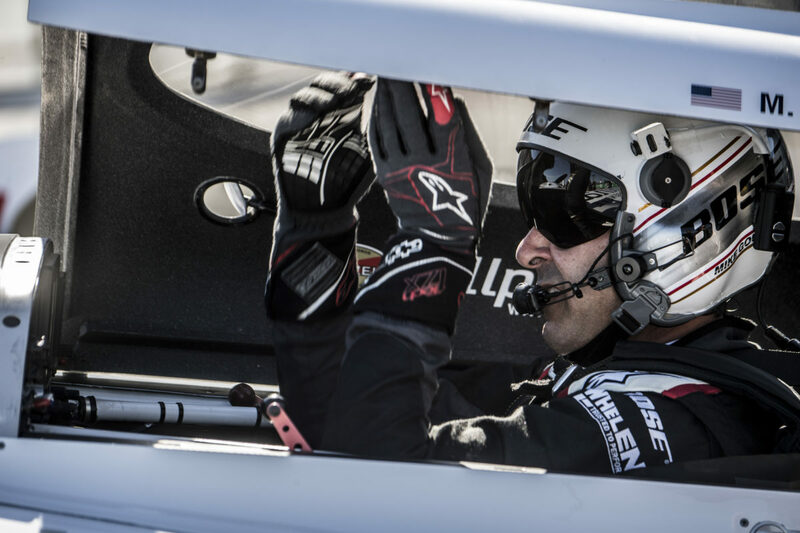 The pressure mounts as overall leader Michael Goulian of the USA places 9th in Ft Worth’s Red Bull Air Race Qualifying Session. 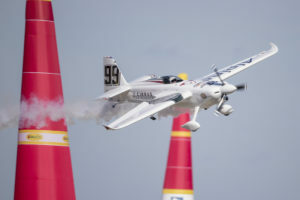 The USA pilot is locked in a three-way battle for the World Championship with Czech pilot Martin Sonka and Australia’s Matt Hall: the winner to be crowned here, the season finale of the 2018 Red Bull Air Race series. 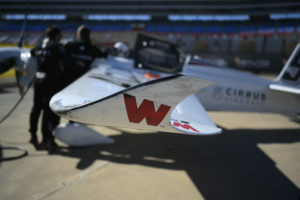 The day proved a challenge for Goulian, who was last to fly in a track that had conditions worsen as the day progressed. 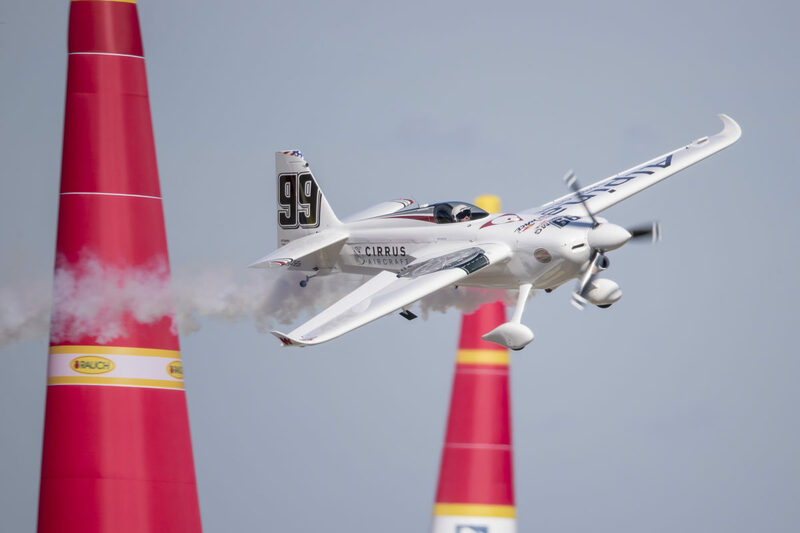 The American pilot posted a respectable time of 51.708, Qualifying in 9th place and setting up against Chilean pilot Cristian Bolton in tomorrow’s Round of 14. To add to the intensity of the weekend, Friday’s Free Practice did not go exactly as planned for Team 99, when a pylon strike caused structural damage to #99’s wingtip and unable to fly until repairs were made. Read about the damage here!